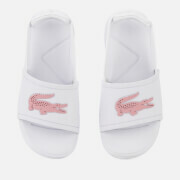 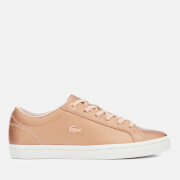 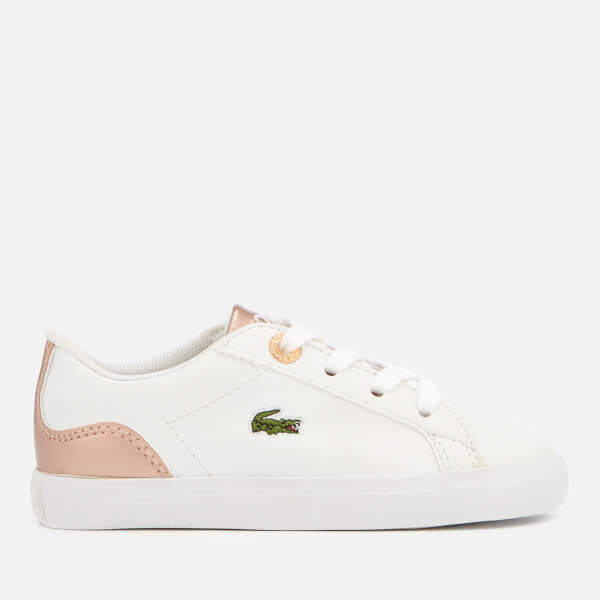 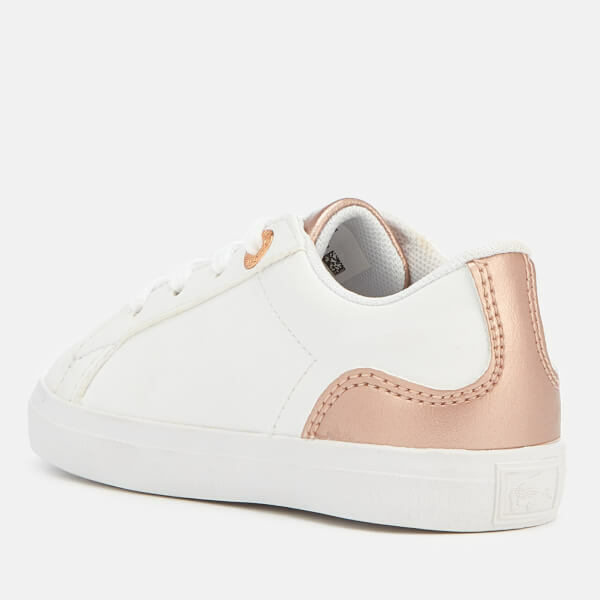 Crafted from smooth white pleather with pink metallic-effect panels, the toddlers’ ‘Lerond 318 3’ trainers from Lacoste feature a round toe and lace-up closure. 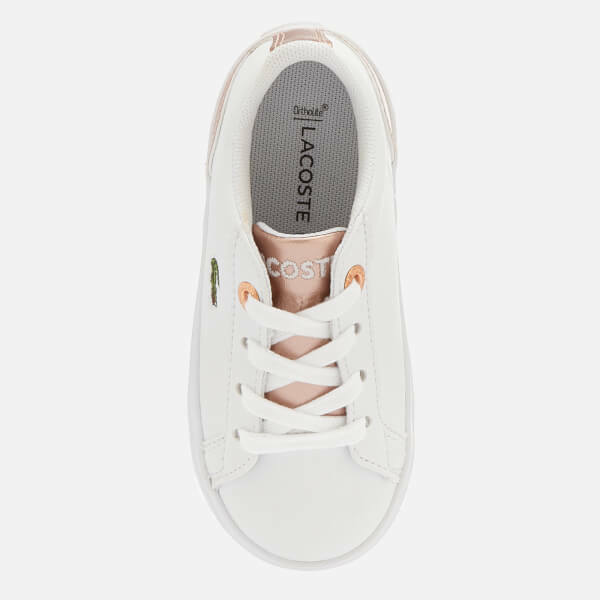 Set on a rubber outsole, the low-top sneakers feature OrthoLite® insoles for supreme comfort and a rubberised, tonal logo patch appliquéd to the heel. 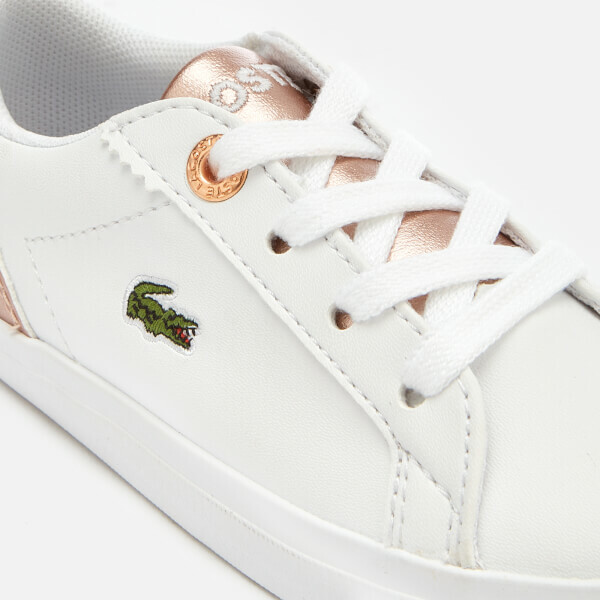 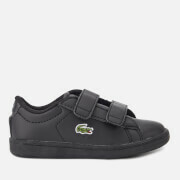 Two rose gold-tone metal eyelets and an embroidered croc motif to the outer foot completes the design.